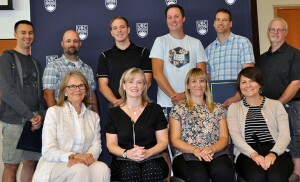 At last week’s Deputy Vice-Chancellor and Principal’s Town Hall, a number of employees were recognized for exemplary service to the university at the annual Staff Awards of Excellence. 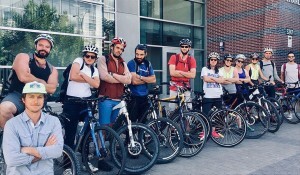 Congratulations to UBC Copanagan, who logged 1,896 km from during this year's Bike to Work Week (BTWW) from May 28 to June 3. They were one of six teams representing UBC Okanagan for BTWW. Here are some professional development opportunities for faculty, staff and graduate students at UBC Okanagan over the next few weeks. In order to give all soon-to-be alumni the best graduation experience possible, make sure to participate in #UBCOgrad through UBC Okanagan digital and social media channels.